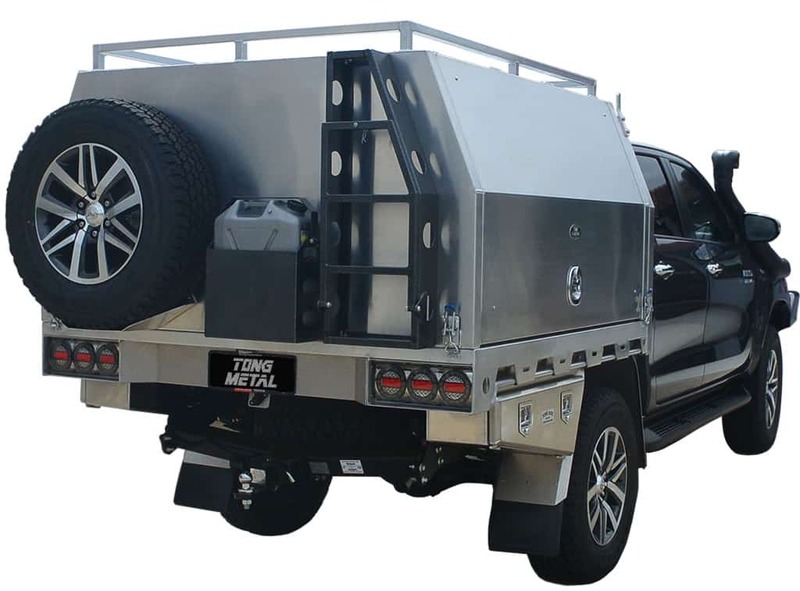 Lead the way with a Tong Metal Camper. Quality: Marine grade aluminium sheeting and structural extrusion frames from leading local suppliers as standard across all camper models. 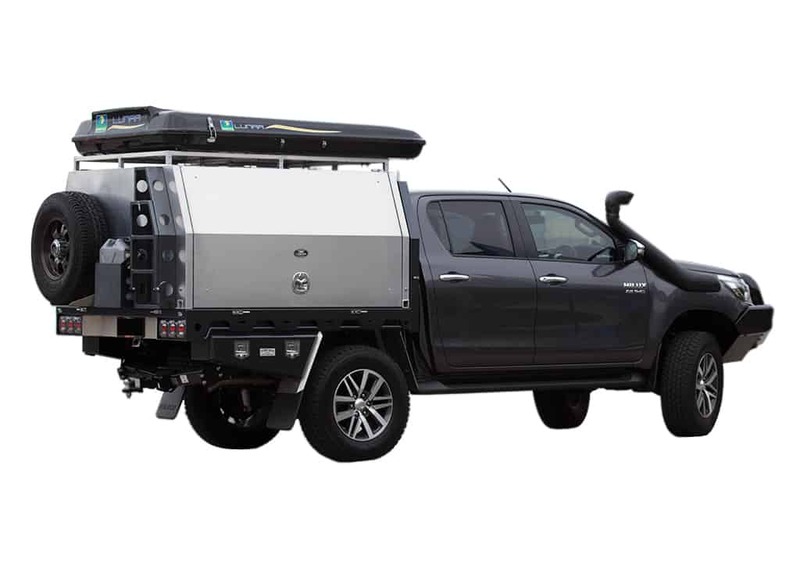 Lightweight: One of Australia’s lightest ute campers, reduce your GVM issues! Anti-Corrosion properties: Much less maintenance than other material types, less worry about damage from rust and UV rays. Insular: Unpainted aluminium reduces heat transmission by nearly 10 degrees. Durable: Excellent strength to weight ratio. No need to worry about hail or anything else the road throws at it! Flexible: Able to move with your vehicle, flexibility means that there is less chance of breakage when travelling off-road. 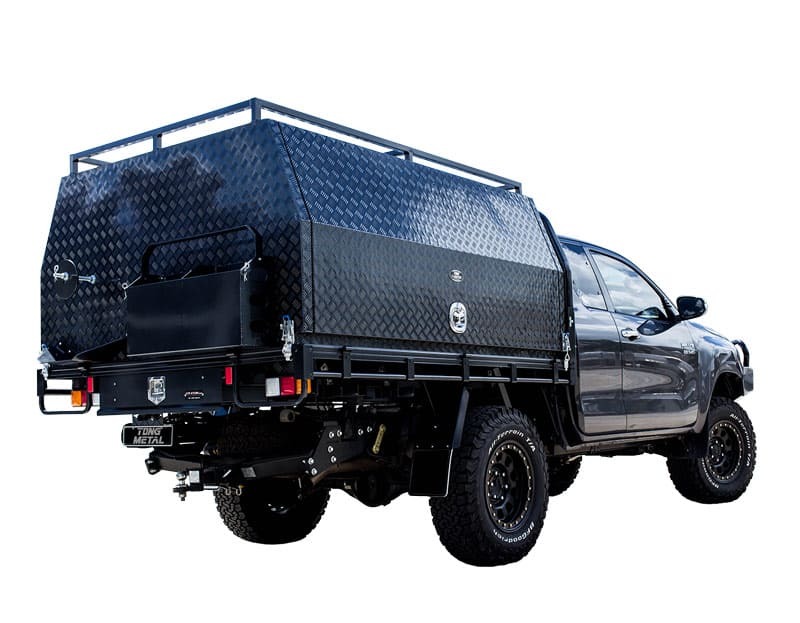 Full internal structural frame: Able to withstand even the toughest on and off-road conditions, whether that be corrugations or two wheels off the ground 4×4. 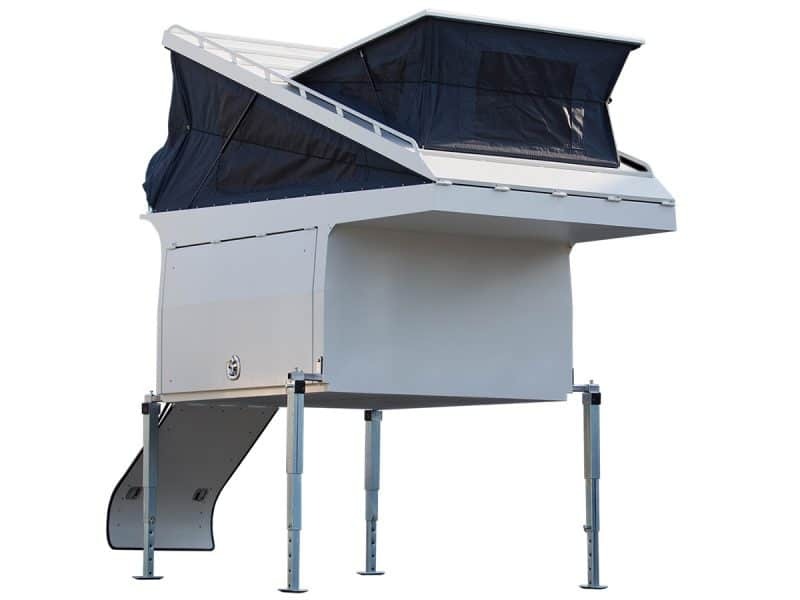 Fabricated on site in Brisbane: All Australian Made, proper quality control means a much more consistent product. Is your Load Killing your Ute? 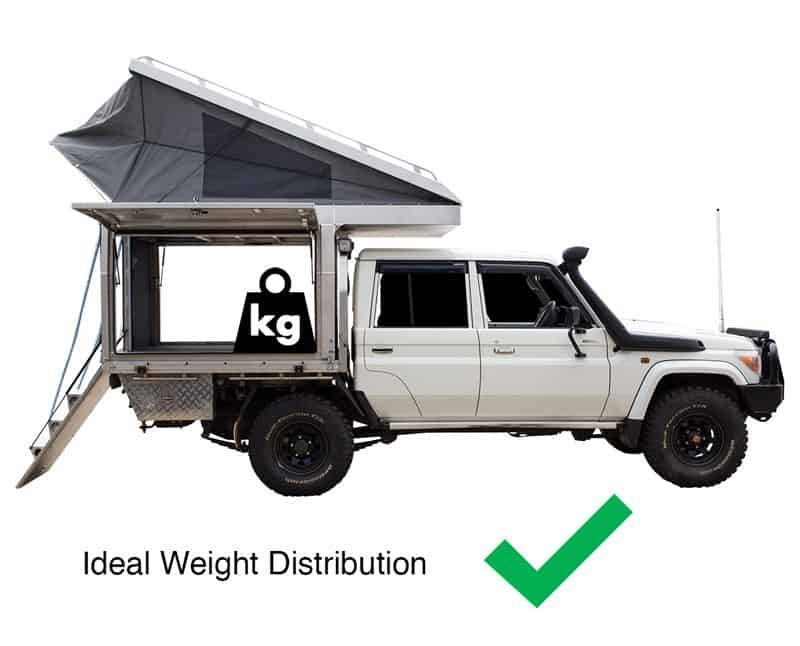 How you organise your camper and layout is just as important as the total overall weight of your load. A poorly balanced and distributed load can place unnecessary pressure on your vehicle and will make your overall driving experience uncomfortable. 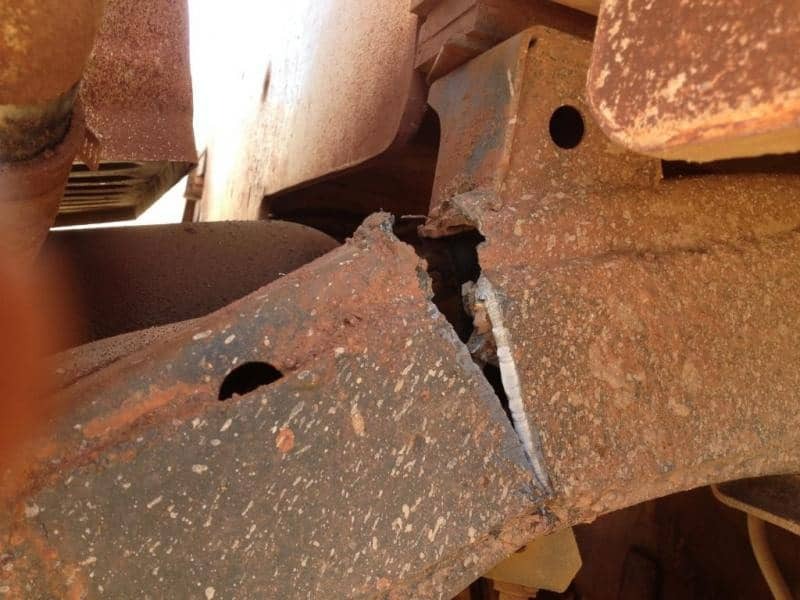 Warning: Using a steel tray with our slide on campers may cause potential issues without a GVM or Suspension upgrade. Steel trays can weigh well over 200kgs more than aluminium – That’s the equivalent of 200L of water. Steel Trays reduce payload! Mount Heavy objects (Fridges, slides, drawers and battery systems) as far forward as possible. Research to find light-weight products that can replace heavy items. Drawers are convenient but are generally heavy and can significantly reduce your available payload. Gross Vehicle Mass (GVM): Is the maximum legal total weight of the entire vehicle. 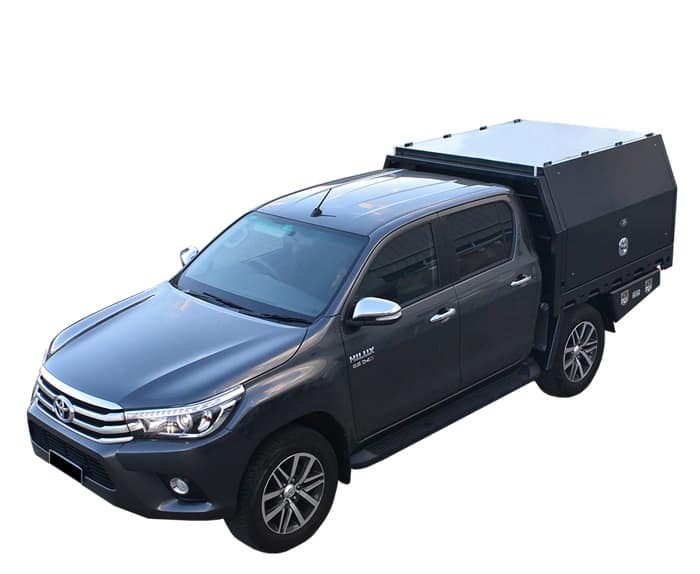 This includes all accessories such as bull bars, additional long-range fuel/ water tanks and Passengers. Kerb Weight: The total weight of a stock vehicle including a full tank of fuel, oils and fluids. harm/injury to yourself or other motorists. Insurance Fallout: If you exceed the vehicles GVM you will void the terms of your insurance. You will be responsible financially and legally. After a brief look around a campsite, you will notice a variety of campers, canopies and rooftop tents designs. Often each design share similar characteristics, however also have their own specific applications. Let’s take a look at some common terms. 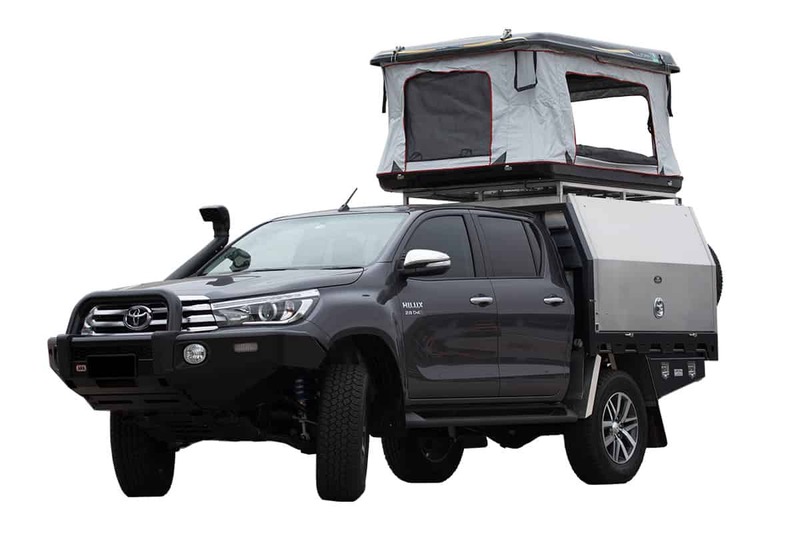 Like the name suggests, this category of campers is typically a dedicated touring setup that can easily be removed and used externally to the vehicle. This category of campers comes in many shapes and sizes. 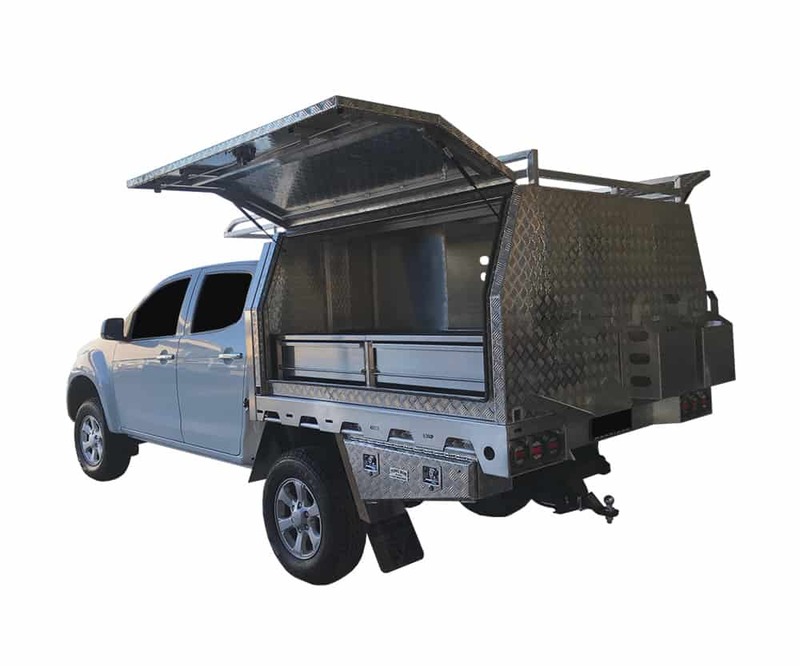 A Ute back camper can be a term used for just about any camping or touring set up. 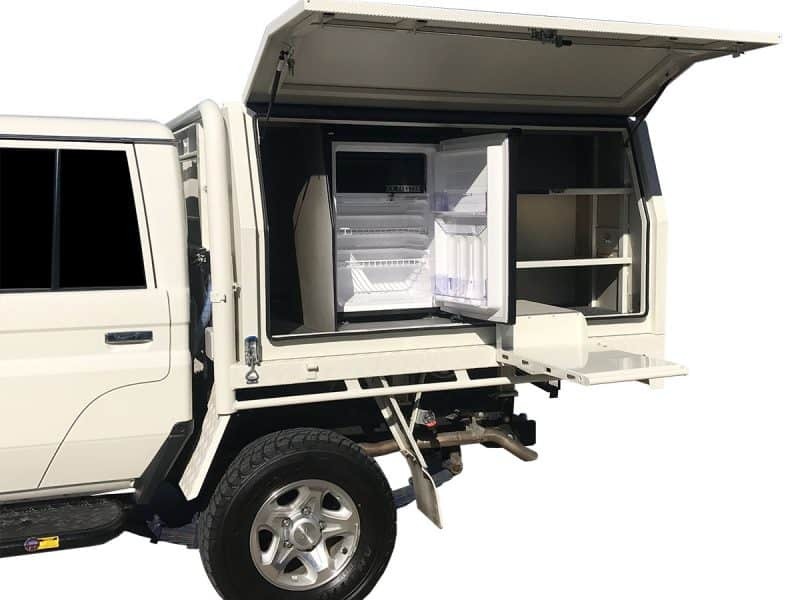 Aluminium Canopies with a fridge and kitchens, tray backs with canvas canopies and a quality swag. There are no strict guidelines, anything goes and it all can work well. 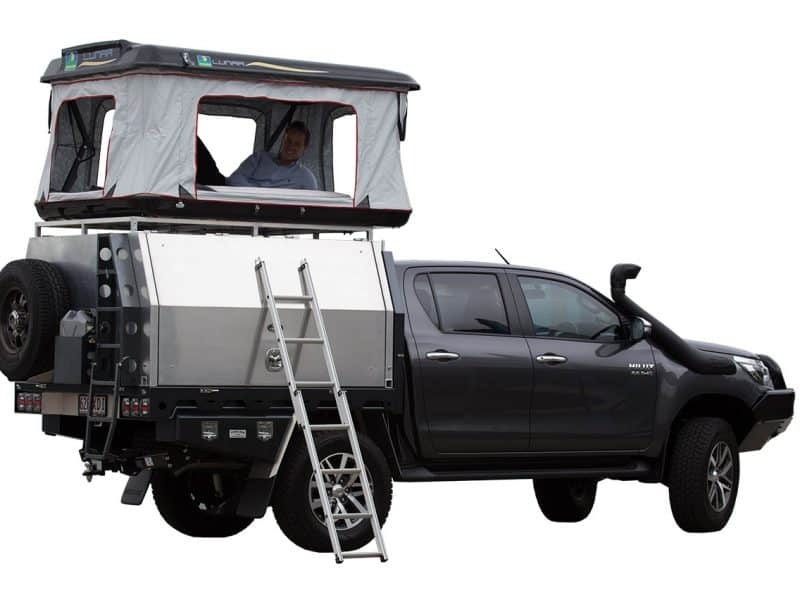 Place a rooftop tent above your vehicle, ute tray or aluminium canopy and now you have a comfortable portable bed that can go just about anywhere. Canning Stock Route: The Canning Stock Route is a regional classic that is definitely not for the faint-hearted! Traverse the prolific sand dunes of the worlds longest stock route and see Australia’s purest and most rugged landscapes. Due to enforced towing restrictions on parts of the CSR, slide on campers/ ute campers are becoming a staple for vehicles touring this track. 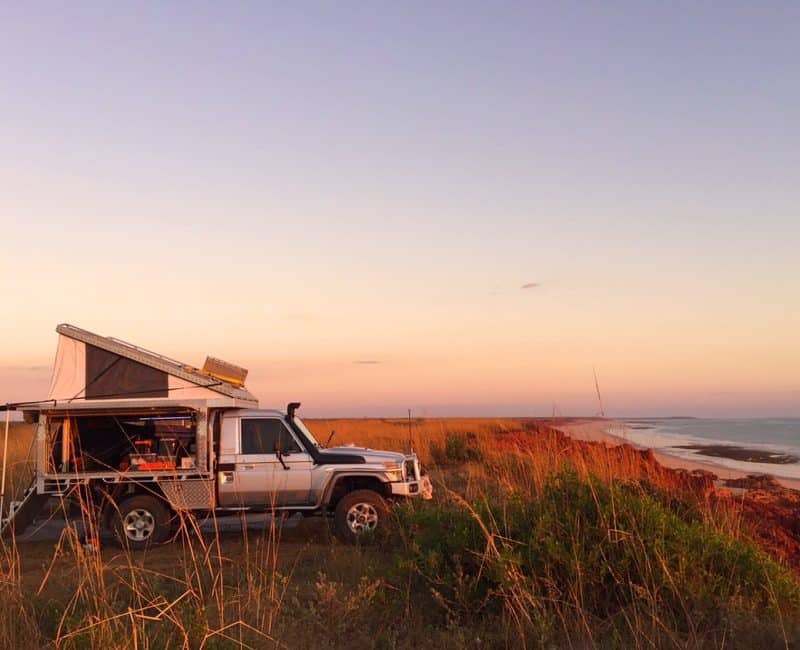 Cape York: A trip to Cape York is nearly a mandatory requirement for Tong Camper owners. An adventure up The Old Tele Track with pitstops at iconic cape landmarks such as the Lions Den, Gunshot Creek on the Tip has tourers returning for multiple trips. Fraser Island: The worlds largest sand island is on our doorstep and is home to some magnificent beach driving, surf fishing and camping. Tong Campers are regular visitors to the big three sand Islands: Moreton, Stradbroke and Fraser. This is where the aluminium material really comes into its own, the rust-free and light-weight properties make beach driving a sea breeze. Victorian High Country: If our campers aren’t heading north to the Cape or Kimberly’s, the Victorian High Country is a likely southern destination. Stunning snow-topped mountains, pristine rivers and forests await. Simpson Desert: Straddling three different states, the Simpson Desert is amongst Tong Metal customers favourite locations. Boasting the worlds largest parallel sand dunes, the wavey red landscape really get our customers torqued. Depending on summer rains will determine the landscapes you traverse across. A wet season will often provide an explosion of native vegetation with fields and fields of Australian wild flowers floating above the usually arid red terrain. Can your vehicle Carry the weight? 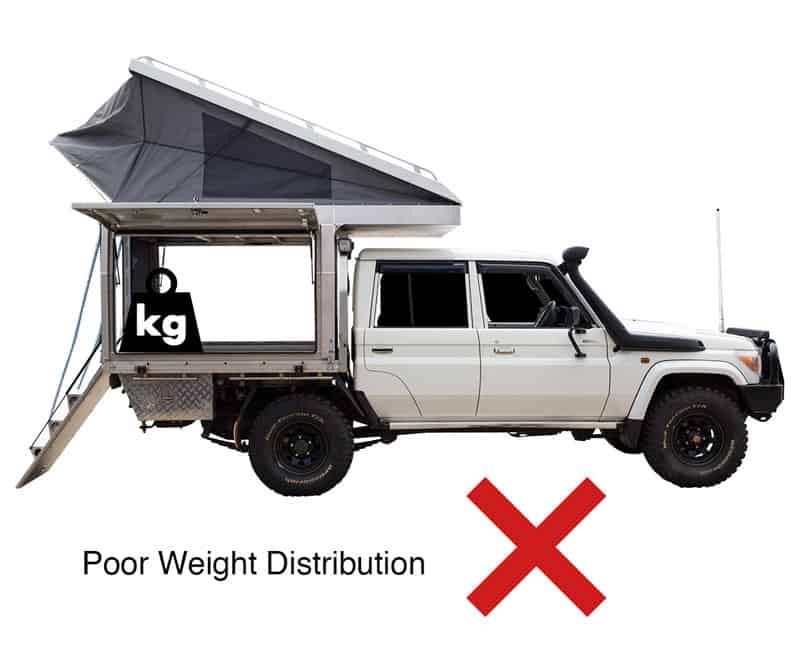 What is the Dry Weight of the camper? What is the expected total loaded travel Weight? How can you reduce weight to increase payload? How much do your accessories weigh? Does it cover for off-road and four-wheel driving? 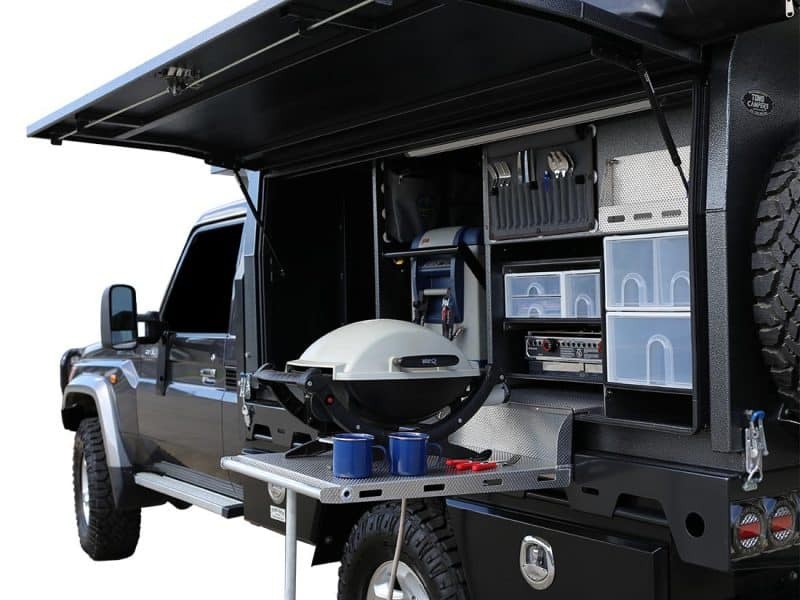 Where is the camper built and manufactured?